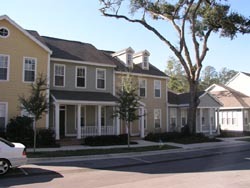 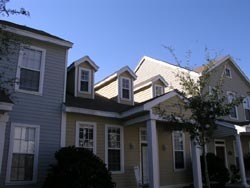 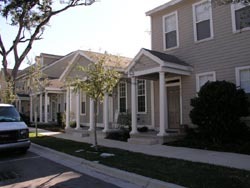 Market Square Townhouses at Haile Plantation are a set of four buildings, three with four connected units, one with five, totalling eight townhouses and nine flats ranging from 1100 to 1600 square feet in area (conditioned space). 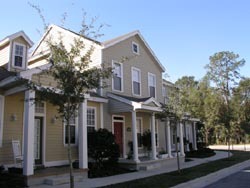 These single family, zero-lot-line homes are in walking distance to schools, markets, and a near by golf course. 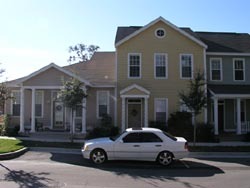 Several units were customized for owners at inception of complex design.